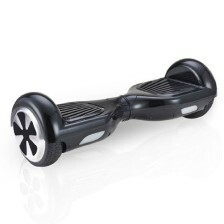 Self balancing scooters have become the breakout toy/transportation option for 2015. But how much should one cost? The answer is that prices for scooters varies widely from nearly $2,000 to as little as $300. * Please note: Prices were accurate at the time of writing but may have changed since then. So why such a big price difference? The big secret with most of these self balancing scooters is that they are all very similar to one another. Almost all are made in the same collection of factories in China. So the main differences between companies is: the quality of parts used, the quality of the customer service offered, the colour of the board and the brand itself. While, you most likely don’t want to pay more just for a brand it can make a big difference paying for better quality parts and customer service. Battery: The battery is one of the most important components of any scooter. It affects everything from the weight of the scooter to the range you get per charge. So when reading product reviews make sure to pay attention both to scooter weight, charging time and most importantly range per charge. Motor: The motor or really motors are the other crucial component to any scooter. A more powerful motor will allow you to go faster and/or carry more weight, but this can come at the cost of range and battery life. Keep in mind that the average runner runs at around 6-7 MPH, so ask yourself if you (or your kids) really want a model that can go up to 15 MPH. Color: The most popular colors for self balancing scooters are black and white. However, there’s no reason why you have to be limited to these two choices since you can find models in everything from blue to red to green to gold. The only downside to getting a unique color is that many companies charge a premium for them. Customer Service: As mentioned above, virtually all self-balancing scooters are made in China and then exported around the world. So the company you buy your scooter from is most likely not the one that made it. However, they will be the one you’ll have to deal with if you have an issue with yours. Some companies offer warranties and returns and some do not. Moreover, some are based in the US and others are not. If your scooter has no issues this is likely not so important to you, but could be worth paying extra for if you’re worried about quality. Brand: Finally, there’s a huge range of self balancing scooter brands out there. Everything from the most well known IO Hawk to totally non-branded generic scooter. While most largely look the same a few companies put different cases on them to make them stand out from the competition. If you don’t care about how yours looks you might be able to get away with a simple generic model, but if you’re design or image conscious you may want to splash out for a branded one. Please note: SelfBalancingReviews.com is a member of the Amazon associate program. This means that any purchase you make on Amazon after clicking on a link from our site may generate a small comission for us. It does not affect the price you pay in any way and helps keep this site free.